The Kia Optima has gained a stellar reputation as a versatile midsize sedan that can suit just about any need and budget. Whether you need a hybrid model with excellent mileage to deal with those L.A. commutes or you prefer a spirited 4-cylinder model with plenty of family-friendly safety features, a used Kia Optima is an adaptable vehicle that will never let you down. 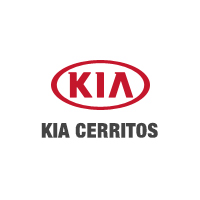 Take a look at your options below, and see which models catch your eye at Kia Cerritos! Why Buy a Kia Optima? The Kia Optima has been a popular model for years and years, so you can count on a used Kia Optima to keep delivering a stellar performance for the long haul. This spacious vehicle makes a perfect family vehicle with its smart safety features, including the LATCH system and rear child-safety door locks to keep the little ones secure during those long road trips. While the Optima tends to utilize an I4 gas engine, Kia introduced an eco-friendly hybrid model and a turbocharged option to boost horsepower. Plus, the Kia Optima is a two-time winner of the International Car of the Year Award – so it’s not just customers who have fallen for this midsize sedan! If you’re a Carson driver on a budget, check out our current Pre-Owned Vehicle Specials at Kia Cerritos to see how you can save even more on your next vehicle. Still have questions about the used Kia Optima? Contact us with any questions, and we’ll get back to you with all of the information that you need!